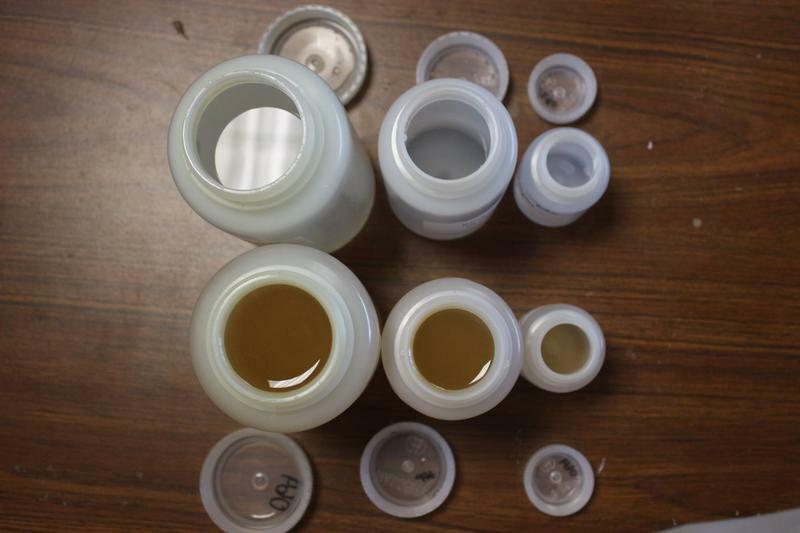 Serious concerns over lead contamination in the city’s drinking water will be an issue as Flint Mayor Dayne Walling tries for another term in an election just a month away and it is now a legacy issue for Governor Snyder, too. The state will certainly be asked to pony up millions of dollars to help Flint, a city just recently out from under the control of a state-appointed emergency manager. The crisis however can’t just be blamed on the city’s former emergency manager. Flint’s water troubles are decades in the making. A failure to invest in water infrastructure (replacing lead pipes leading to homes for example) is a big problem. But while Flint’s troubles are clearly bad, it’s not the only place in Michigan facing water problems. Pretty much every county, city and township in Michigan has issues with things like sewage systems and aging pipes. It’s infrastructure and, of course, it doesn’t last forever. In the 1990s, Michigan voters adopted clean water bonds but, now, that money’s pretty much dried up. This was supposed to be right about the time that Governor Snyder envisioned the state and the Legislature engaging on some big picture thinking on water. The Governor rolled out his administration's draft water strategy in June. It included things like dealing with invasive species and water tourism, but infrastructure and a guarantee of clean drinking water for all Michiganders was also a very big part of it. Now, we are not suggesting that talking right now about this strategy might have made a difference in what’s happening currently in Flint. But it certainly could make a difference in making sure there are no repeats of what’s happening in the struggling city. The question now becomes: how to pay for the fixes? And the answer is a definitive: we still don’t know. The Snyder administration has assigned a workgroup to the task of coming up with funding ideas, but the reality is there are no plans or interest in putting anything before the Legislature anytime soon. And that, believe it or not, is because of the debate over road funding. The inability so far for the state Legislature to come up with the more than a billion dollars needed to fix the state’s roads has pretty much stalled everything else. Road funding is a logjam that’s holding up anything else that might have a big price tag attached to it. Is clean water a top priority? Legislating - at any level - is largely the art of stacking priorities; which ones do you want or need to get to first and, then, knowing how that ordering of priorities might affect everything that follows. For Governor Snyder, the priorities right now are roads, and then the bailout for the Detroit Public Schools. Those issues will likely take us to the new year and work on the next state budget. That probably puts any prospects for adopting an expensive clean water strategy into sometime next summer, at the earliest, or the fall and it may have to wait until after the 2016 elections for Legislature to deal with on its “lame duck” session. The special state House committee set up to look into the conduct of Republican state Representatives Todd Courser and Cindy Gamrat is scheduled to meet tomorrow and Wednesday. Reps. Courser and Gamrat are accused of using state resources to, among other things, cover up an extramarital affair. Once again lawmakers are starting over as another road funding plan collapsed late last week in Lansing. The latest effort to come up with more than a billion dollars for roads had pitted Republicans against Republicans. The GOP has a 63 to 46 advantage over Democrats in the state House, and a 27 to 11 margin in the state Senate. Those numbers led to the idea that GOP leaders could develop a Republican-only roads solution without having to deal with the Democrats. Yesterday, Gov. Rick Snyder admitted that the decision to switch the city of Flint's water supply from Detroit's system over to the Flint River was not well planned. “In terms of a mistake, what I would say is, is there are probably things that were not as fully understood as when that switch was made,” Snyder said.